"It's time, are you ready?" Whether you like it or not, you better be ready for the newest film from brilliant filmmaker Jeff Nichols. The first thing you hear is the sound of an amber alert broadcast on the television in a motel room. A boy named Alton Meyer (Jaeden Lieberher) has been kidnapped, and the presumed abductor is his biological father Roy Tomlin (Michael Shannon) and here they are along with another man named Lucas (Joel Edgerton) listening to their circumstances being reported, on the run from the law. Many filmmakers would either incorporate flashbacks or expository dialogue into the storytelling in order to flesh out the history behind what lead to this moment, but Nichols doesn't care for such things and neither should you. All that matters is what we see and hear and feel, these moments in the lives of a very special boy and his father. "You don't have to worry about me anymore." Alton is being pursued not only be the government but also a religious cult called Third Heaven Ranch because he has mysterious and strange powers that are emitted through a blindingly bright light from his eyes. Why does he have these powers? When did he acquire them? Again, it is irrelevant to the core of Midnight Special, the soul of the film. It's unsurprising to discover that Nichols wrote the screenplay for the film from a very personal and meaningful place, as you can feel a haunting honesty to it all bubbling beneath the genre-bending surface. He started to lay out the concept of the movie after becoming a father, and when his son was only 8 months old he suffered a seizure that had Jeff and his wife wondering if they would lose him. It's a profound place to create from, that level of grief and fear and it inspired the allegory that drives the picture throughout. Midnight Special is about the journey of being a parent, the day to day balance of love and fear, the crucial nature of every decision you make to give your child a better life. It's about the faith people have in a world that often feels not worthy of it, which is why Roy is never willing to stop or let someone stand in his way of giving Alton a chance to do something great with the gift he was given. It's about the challenge of letting go of the person you love, the child you have an indescribable bond with in order to truly allow them to move forward. "I like worrying about you." After only four films, Jeff Nichols has fully captured my heart as a fan of cinema. His style is intoxicating, a fluidity to his brand of storytelling that feels richly natural and exploding with an optimistic warmth even when thematically things can get pretty ominous. His raw yet focused debut Shotgun Stories, his sophomore effort Take Shelter (his masterpiece), his wonderful character driven third film Mud and now a dip into a bit of science fiction with Midnight Special. No matter what genre you try to pigeonhole these films into, to me they feel spiritually linked thanks to the magic of authenticity. In the old days back when such a thing was prevalent, I would enter a video store looking for something to rent and I would probably find films like these amidst the "Drama" section, but really they should just have one special shelf somewhere off to the side labeled "Nichols", because I find the tone of his pictures to be refreshingly unique. It isn't as if he works alone though. Nichols has surrounded himself with a remarkably talented team of people, reuniting here with composer David Wingo whom he also collaborated on the score for Take Shelter and Mud with. Same goes for Cinematographer Adam Stone, side by side since the beginning with Shotgun Stories. It's relationships like these with people who perfectly gel with the vibe Nichols means to create that help me fall in love with every single one of their efforts. This, of course, goes for casting as well as the duo of Nichols and star Michael Shannon has proven to be a match made in heaven. He has been the lead in three of the four, lending his abilities to a supporting role in Mud, but it was in the television series Boardwalk Empire that Shannon landed on my radar with an intense and disturbing week to week performance that stole the show for me in that series. I just knew he was an extraordinary actor, and I couldn't be more thrilled that he and Nichols found each other and formed this cinematic bond because I feel like the two suit each other so well. Shannon has the range to deliver all the nuance expected of him in this roles, and his portrayal here is a bit of a minimalist performance in terms of dialogue but he still confidently lands the emotional punches of a devastated father doing whatever is necessary to keep his son safe. 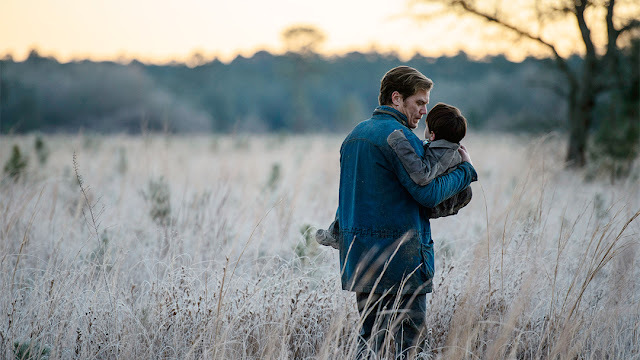 Some will say that the characters aren't developed enough in Midnight Special and thus they had nothing to root for, but I found an authenticity in their portrayals. Despite my love for writing, I am a man who often times likes to avoid communication throughout the day. While others seek out a conversation, I soak in the soothing silence as a means to gather my thoughts, to feel centered, so the concept of displaying deeply profound emotions and fighting an internal war without words is not only familiar, it is something I can relate to. The supporting cast of the aforementioned Lieberher and Edgerton, as well as Kirsten Dunst, Adam Driver and Sam Shepard and a slew of others all deliver exactly what you would hope for in order to tell a Nichols story with grace and ease. 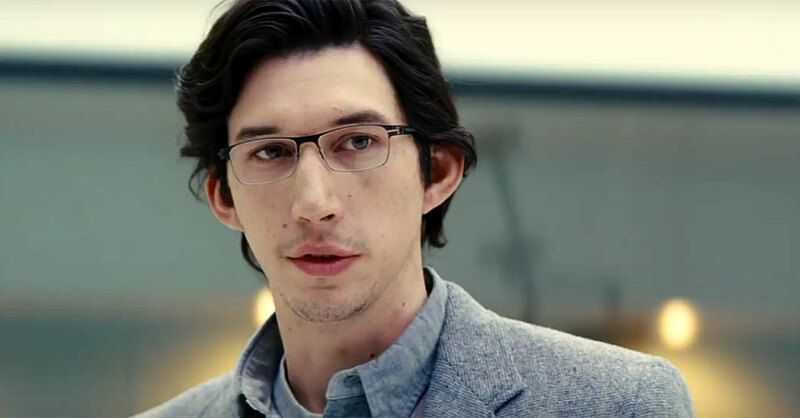 The most interesting of the bunch is probably Driver as NSA agent Paul Sevier assisting the government manhunt for the boy because, ironically, his character could have very easily been the most uninteresting of the group. We've seen the cliche agent character in countless films before, the man piecing together clues to find the protagonists of the story in order to capture them, and cutting away to Sevier from the far more interesting family dynamic could have very easily suffered from the fatigue of this familiarity. It's a character you may technically need to tell this story but no one really wants, but getting a gifted actor like Driver to perform the role helps ease that burden and I also like the direction they took him in. Early on he is nothing more than a man doing his job with a goal that he means to complete, but after seeing Alton up close he starts to recognize that his actions, his desire to harness such a power as a government tool rather than allowing him freedom would be a mistake. As I mentioned before, Midnight Special is a film about faith, not necessarily religious but the kind people have in each other. The faith that those closest to Alton share, a faith in the significance of keeping the boy out of the wrong hands, perhaps Sevier could feel it to. "The only thing I ever believed in was Alton." I used the word grace in that last bit about the performances, and it's a word that comes to mind a lot during a Nichols film. Grace. It's the thing that seems to pour out of every frame, drip from every musical cue, and ooze out of the emotional significance of the film as a whole. A deeply personal work without having to inflate the characters with too much unjustified personality, providing us with nothing outlandish and essentially no backstory at all. Some films can't survive without a bit more meat on the bones, but with something like Midnight Special I am pretty full with exactly what is offered. Maybe it's the father in me finding something inviting in a film centered on the relationship that carries the weight of this picture, but it just feels right. I loved this movie so much. It agrivated me at how long it took to get to my area, but it was totally worth the wait. At first I'd say this is some kind of superhero movie (or at least that's what I thought going in) but it's definitely sci-fi, and I loved every minute of it. What blew me away though was the CGI at the end. Wasn't expecting it, and for the amount they had it looked really good. Hopefully, this is one step in the right direction for more creative films. Completely with you Cody, it's pretty great to see such an interesting and thoughtful film get released by an actual studio these days. By "actual", of course I mean one of the BIG ones that typically is just looking for what can profit the most. Midnight Special felt more like the type of Indie work that would get scooped up and released by A24. Glad you loved it, I know it didn't work for some because of the vague nature of the storytelling, that it doesn't fill in every detail about the past or even the present, but I loved that aspect. Felt so real, which is a compliment considering it is about a child with superhero like powers.